Bai Kabibai English School & Junior College - 26 Bora Bazar Street, Fort Mumbai 400001. 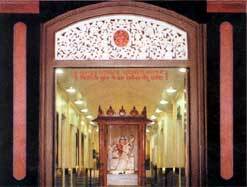 The school owes its existence to a large hearted, philanthropist Seth Hansraj Morarji and his equally noble and generous wife Bai Kabibai alias Hiravahu. On 14th June 1981 Bai Kabibai English School a co-educational English medium school was started, in the busy and crowded lane of Bora Bazar with only pre-primary and Std I and II. Since its inception, the school has forged ahead to become a full-fledged school right up to 10th standard following the S.S.C. syllabus, and Junior College(H.S.C.) for Commerce Section. The institution caters to the educational needs of the middle class. The low fees charged by the school enables the middle class families to put in their children who do not have high aspirations. The effort put in by the staff increases, to mould these children and inspire them on to the right path. But then the mental satisfaction of having produced some worthwhile material, which would enrich the society, is there at the end of the road. These students who reap the benefit of quality education, at a very low cost remain lifelong indebted to their Alma Mater. Welcome to the school! Our commitment at Bai Kabibai English School is to provide a safe and intellectually challenging environment that will empower students to become innovative thinkers, creative problem solvers and inspired learners prepared to thrive in the twenty-first century. High standards and expectations for each student in regard to academic performance, co-curricular participation, and responsible citizenship are the foundation of our school. 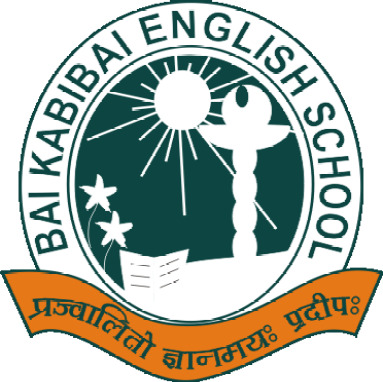 It is with pride that we hold these high standards and ask each of our students to commit to maintaining the extraordinary record of achievement and contribution that has been the legacy of Bai Kabibai English School students. It is the contribution of our students to our school community that makes Bai Kabibai English School an exceptional learning community. Full participation in academic and co-curricular programs and a willingness to act responsibly as an individual within our educational environment are the factors that enable all to have a successful and enjoyable year. Cultural and Co-curricular activities are organized on a regular basis to develop an all-round personality. Competitions are organized in various fields to develop a competitive spirit and students are encouraged to take part in various activities. For this purpose the school has been divided into four houses - Red, Green, Blue and Yellow. Annual day function includes drama, singing, and dance, inculcating self-confidence & self-esteem. Students are awarded prizes for their achievements. 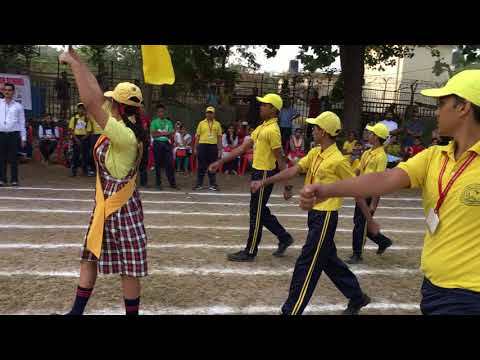 Sports Day is celebrated for Std I to XII in the month of November to inculcate in the students the spirit of healthy competition and the spirit of sportsmanship. Bai Kabibai aspires to inspire the children to their full potential by synthesizing academics with co-curricular activities. Every year in the month of April a Science Exhibition is held to enhance learning through group work , on various topics like .Journey To Space., .Tribes of India., .Transport., .Health., .Water. etc.. The exhibits are prepared by students of Std I to Std XII. These exhibitions give an opportunity to explore the horizons of knowledge beyond academics. The toddlers of primary section with the spirit of the motto .let learning be a joy and teaching a pleasure. display their talents in performing plays, dances and songs. This helps them to gain self confidence and to get over stage fear. This competition is for the primary section. Children from classes 1st to 4th display their innovative skills by wearing colorful dresses that reflect various personalities and themes. Students are also encouraged to take part in inter - school competitions to enable them to appreciate the calibre of students of other schools and to achieve excellence in all fields. Prefectorial system is adopted to develop power of leadership among students and instill the importance of discipline and good conduct. The school holds various competitions like Poetry competition, Elocution (English & Hindi) , Bhajan Competition ( Any Language), and Story Telling, to enhance their skills. 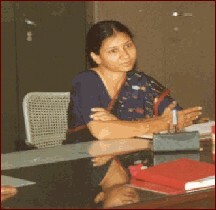 To improve the child.s general awareness and Knowledge, Quiz competitions in Science, Maths & Current affairs are held. In the Secondary and Senior Secondary the activities are of a higher complexity such as -Debate competition, Extempore, Poetry Writing, Essay Writing, Story Writing, What.s the Good Word, Monoacting and Spell Bee are conducted. On 14th June 1981 Bai Kabibai English School a co-educational English medium school was started, in the busy and crowded lane of Bora Bazar with only pre-primary and Std I and II. Since its inception, the school has forged ahead to become a full-fledged school right up to 10th standard following the S.S.C. syllabus, and Junior College for Commerce Section. The institution caters to the educational needs of the middle class. The low fees charged by the school enables the middle class families to put in their children who do not have high aspirations. The effort put in by the staff increases, to mould these children and inspire them on to the right path. But then the mental satisfaction of having produced some worthwhile material, which would enrich the society, is there at the end of the road. These students who reap the benefit of quality education, at a very low cost remain lifelong indebted to their Alma Mater. 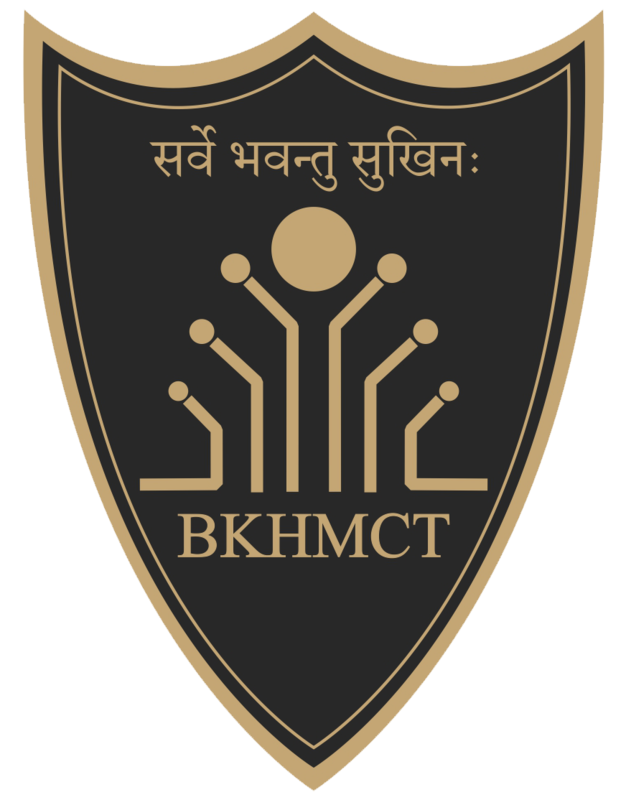 Keeping in mind the rapid growth in science and technology and the phenomenal growth in the quantum of knowledge much more matter has to be taught in a limited time frame, the management went ahead and set up an air conditioned computer lab, for the benefit of students. The lab is equipped with 14 computers from Wipro with hard disks, mikes, speakers, Windows NT, scanner, DeskJet printer, laser printer, router, ISDN connection etc. The school has a poor boys fund that provides fees and uniform to the poor and deserving students. Apart from indoor Sports activities like chess, carom, table tennis, badminton, Karate and band classes are conducted in the school under the guidance of professionals. School is equipped with a color T. V., and V. C. R. to make the teaching and learning process more enjoyable. There is a registered co-operative store being run by the students. Aiming high is becoming the craze and the day is not far when our past students will make their presence felt in all walks of life, defense, administration, medical, engineering, industry and art. With the ambition of our students soaring, the institution is poised for a big leap and it may be sooner then expected. Founded in 1981, it aims at all round development of the students, thus excelling in its ideals of fostering brotherhood, politeness and discipline. We, at Bai Kabibai believe that education should be able to bring out the best in a child, regardless of the child's background . At Bai Kabibai, we strive towards making this school a nucleus of educational, social and moral life for the youth. Your Child's education is our aim. Your principles...Your values...Your standards...Your Commitment...Your Vision...Your Ideas...Your Aims...Your Goals...Your Achievements hold value for this institution. I am grateful to all those who have served this Institution and helped it to bloom from a bud to a full-grown tree. I have faith that this institution will keep pace with the development in all walks of life with the blessings of Almighty. 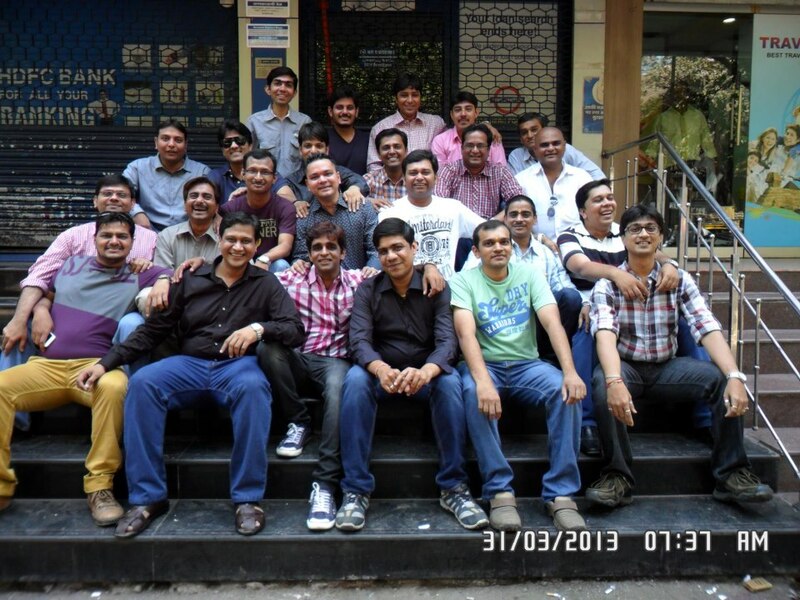 For the first time after graduting on 31st May 1993, the class mates of batch 1993 celebrated reunion on 31st March 2013, marking 20 years of history. Names of the attended in the order of their seating. Whether you are an ex-student or a current student, whether you are part of English School or High School or Junior College, if you have some thing to share on the website, please contact me. I would love to hear from you and publish any experiences, stories, memories, photos, etc. My thoughts looking back in time: A good school gives you an education and a great school empowers you to use your education. This school has been an integral part of my life and has created a strong value system within that has helped me counter all personal and professional challenges across my academic and professional life. Some of my closest friends today are the same friends I had while in school. The importance the school gave to sport was incredible. Sport helped me deal with success and failure in all aspects of life. The information within this site may change without notice. There are no warranties with regard to the information and links available over here. In no event shall anybody be liable for any damages whatsoever arising out of or in connection with the use or spread of the information and links available over here. Any use of this information is at the user's own risk.